WOULD’YA GET THAT WOMAN A BEER! KIDS (referring to all you mature adults), this year it’s OUR turn to plan an EXTRA special day for Mom. Something fun of course, perhaps a bit unexpected, definitely tasty and something involving family. Most importantly, something that involves a free cocktail for Mom. We’re just kidding. But not really…she deserves it. Bring your Mom, Stepmom, Mother-in-law, future Mother-in-law (et cetera) to the annual Boundary Bay Mother’s Day Brunch on May 12th from 10am-2pm. Make your reservation by calling us at 360-547-5593. Here’s how it typically goes: Mom will be greeted with a FREE mimosa (duh!) and you and the fam will celebrate and toast to the amazing woman she is, and all she does. 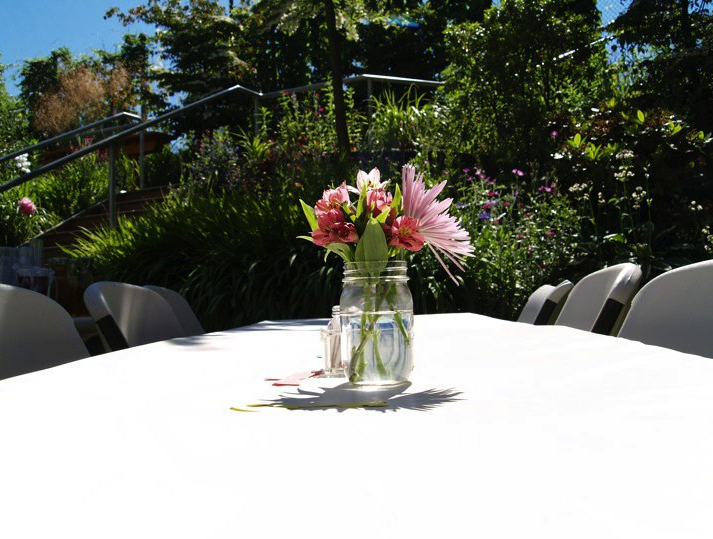 You’ll enjoy each others company, eat a delicious brunch prepared by the Boundary Bay Catering Team, and potentially save some ales — if you’re feeling up to it! Spinach Salad with Fresh Fruits, Holmequist Hazelnuts, Gothberg Farm’s Chèvre, honey white balsamic champagne reduction. Boundary Bay Brewery Loves Moms! Hey you…yeah YOU! You do know that Mother’s Day is THIS SUNDAY, right? It’s a little early this year, but don’t worry…we’ve got you covered! You don’t have to admit to Mommy dearest that you forgot all about her big day. You just need to impress her with a lovely brunch in the sunshine, surrounded by blooming flowers, shady trees and lots of birdsong. What’s that you say? Your backyard is full of weeds, broken patio furniture and you have no idea how to cook? 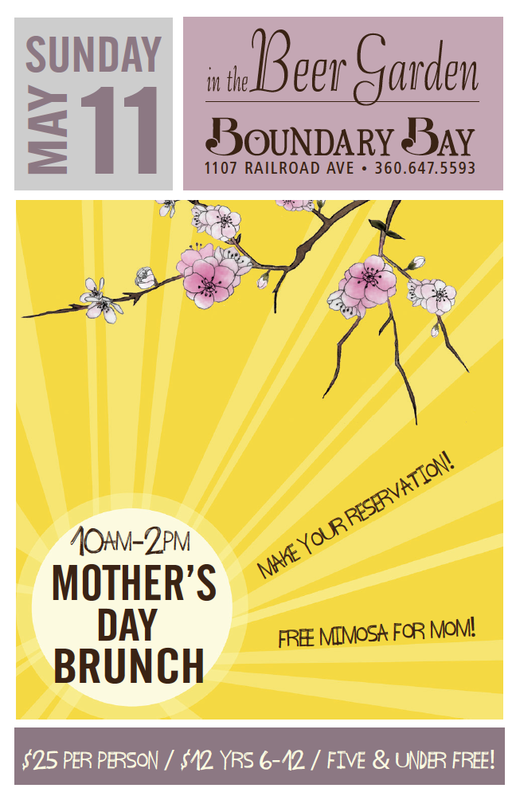 Well, you’re in luck – just bring her here to OUR Mother’s Day Brunch at Boundary Bay Brewery! potato casserole – a crispy on top, warm and cheesy in the middle classic! french toast – the breakfast favorite! Made with Avenue Bread‘s challah bread and dipped in cinnamon batter. So join us this Sunday, May 8th for an all you can eat brunch! Families welcome. $20 per person. $12 for kids 6 to 12yrs, 5yrs and under eat free. Senior discount (62+) $17. Admission includes one free Mimosa for Mom!